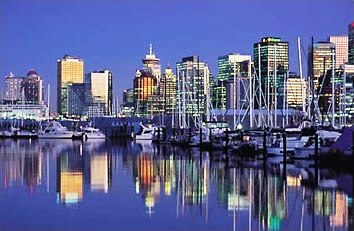 Coal Harbour is in the West End of Vancouver. This small map shows the proximity to popular Stanley Park. One of the photos that came with this website when I bought it. 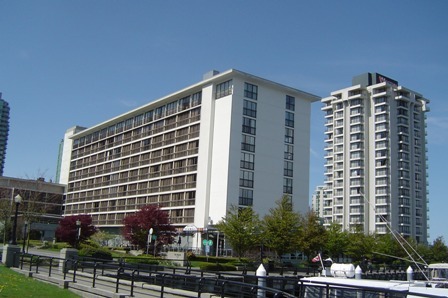 The Westin Bayshore Hotel at Coal Harbour. This hotel is very close to Stanley Park. 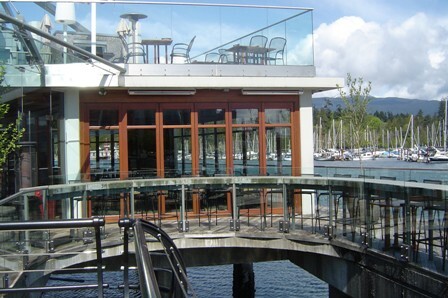 One of the rare true waterfront hotels in Vancouver. 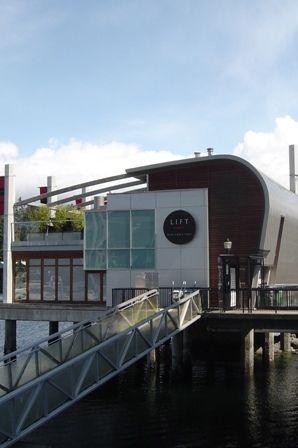 The Lift restaurant in Coal Harbour is very close to the Westin Bayshore Hotel. Another view of the Lift restaurant. You can see the floor to ceiling windows for spectacular waterfront dining. If you have eaten at the Lift restaurant, why don't you give us a review? 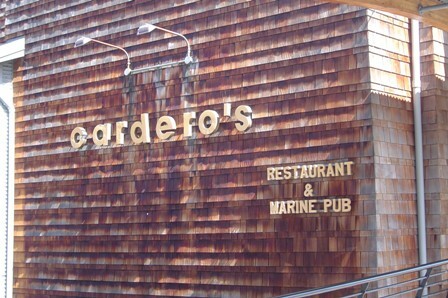 Carderos restaurant and marine pub. 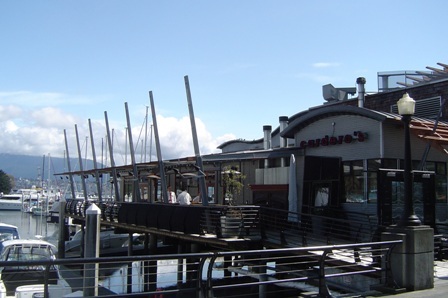 Another view of Carderos from the seawall walkway in Coal Harbour. You can see the specatular view from Carderos from both inside the restaurant and outside on the patio! Looking towards Carderos restaurant and Marine pub. 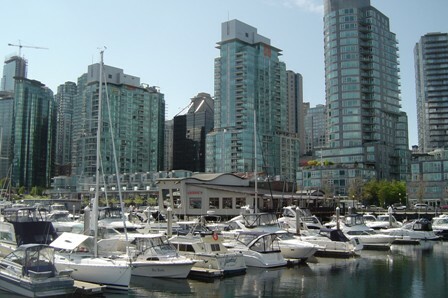 The tall buildings in the immediate background are residential condominimums as Coal Harbour is primarily a residential neighbourhood within the downtown core of Vancouver. If you have eaten at Carderos restaurant and Marine pub, why don't you give us a review?